Twin brother of guitarist Nels Cline, percussionist Alex Cline has often been portrayed as the quieter half, with his introspective leanings serving as the delicate yin to Nels' assertive yang. 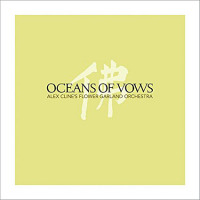 Cross-cultural metaphors aside, Alex's discography is filled with allusions to his longstanding interest in Eastern spirituality. Fittingly, Cline's albums often exude an air of introspective tranquilityan aesthetic focus that contrasts with his brother's more omnivorous approach. 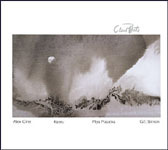 Less prolific than his sibling, Continuation is Cline's eighth album as a leader since the early eighties, and first since 2001's Constant Flame (Cryptogramophone). 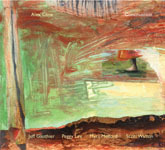 Joined by acquaintances old and new, Cline employs a stellar line-up of West Coast string players to interpret beautifully episodic compositions that seamlessly fuse intuitive improvisation with harmonically rich pre-written structures, while occasionally pushing into more assertive territory. Cline's string-heavy quintet weaves a nuanced web of sound that erases the boundaries between Western neo-classicism and Eastern modality. Jeff Gauthier's searing violin solo on "Steadfast," the sonorous refrains of Peggy Lee's mellifluous cello on "Nourishing Our Roots," and Scott Walton's lyrical bass cadenza introduction to "Clearing Our Streams" embrace myriad traditions, conveying a range of emotion. Collectively, they reveal a tight-knit rapport, summoning brooding polyphonic tendrils on "SubMerge" and rapturous unison motifs on the blissful finale of "Clearing Our Streams." Straddling an aesthetic divide between the lush sonority of the strings and the leader's percussive asides, keyboardist Myra Melford plays a multifaceted role. Her harmonium wheezes Asiatic drones in support of the strings, while her kinetic piano refrains provide an acerbic edginessbolstering Cline's impressionistic ruminations. From the pneumatic clusters and thorny cascades of "Steadfast" and "On the Bones of the Homegoing Thunder," to the tender, romantic pageantry of "Nourishing Our Roots," Melford's resourcefulness is immeasurable. More interested in orchestral color and shading than standard timekeeping, Cline elicits a kaleidoscopic array of tones from his augmented drum kit, ably supported by Walton's hearty pizzicato ostinatos and robust arco glissandos. The luxuriant "Nourishing Our Roots" features a shimmering veil of gongs, while the haunting "Fade to Green" unveils a stark series of spectral accents. Conversely, rousing trap set fusillades amplify the hard bop-inflected passages of "Steadfast" and "On the Bones of the Homegoing Thunder," welcome reminders of his percussive prowess as a sideman to vivacious band leaders like Gregg Bendian, Tim Berne, Vinny Golia and Julius Hemphill. Populated by lengthy epics, the album unveils its secrets leisurely. Spacious and ethereal, brimming with opulent melodies, effervescent harmonies and bold polyphonic detours, Continuation is a magnificently balanced merger of composition and improvisation that reaches beyond cultural barriers, into a fourth world of its own design. Track Listing: Nourishing Our Roots; Clearing Our Streams; Fading to Green; Steadfast; Submerge; In the Bones of the Homegoing Thunder; Open Hands (Receive, Release). Personnel: Jeff Gauthier: violin; Peggy Lee: cello; Myra Melford: piano, harmonium; Scott Walton: bass; Alex Cline: percussion, kantele.